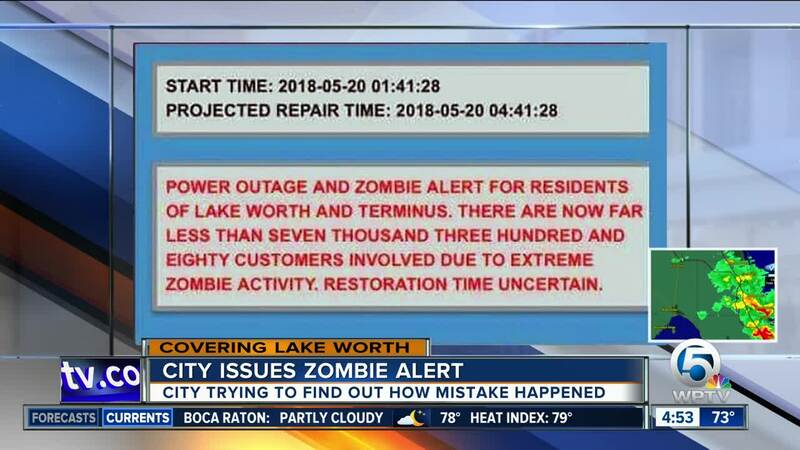 LAKE WORTH, Fla. (AP) — Officials say they still don't who sent a "zombie alert" to residents of a Florida city following a power outage. 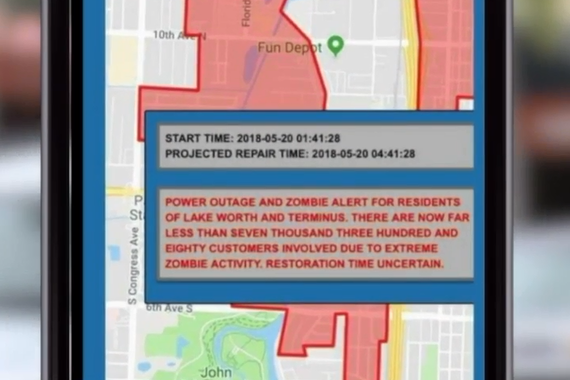 During the city's own investigation, Kerr says officials determined that no current or former employees edited the pre-prepared message to include the warning of a zombie invasion. He tells the Palm Beach Post that "no one was fired for it."